When looking for a highly accurate, as well as a fast response signal that is proportional to the primary DC current that is measured, a Hall Effect current transducer like the HT-200M is an excellent option. 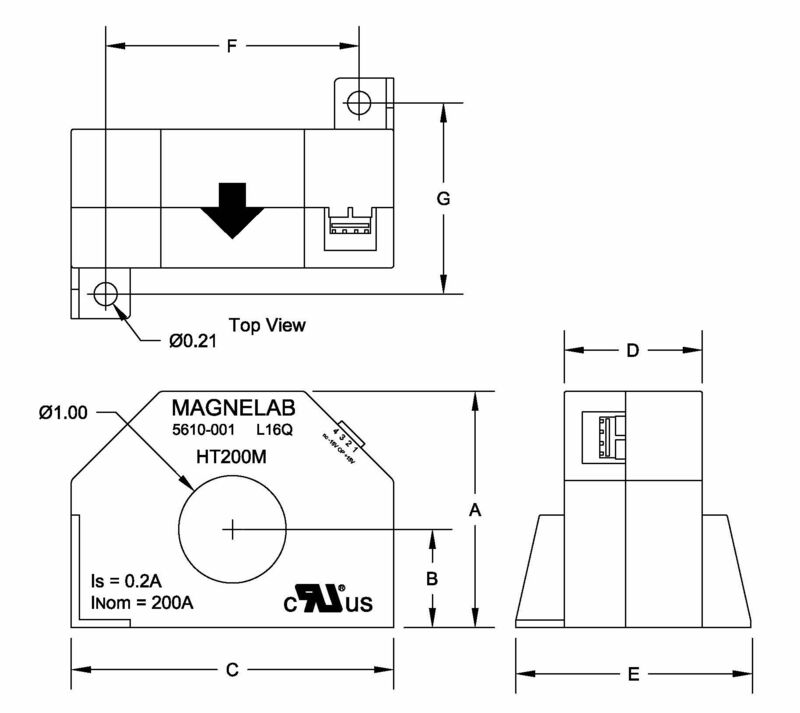 This is one of Magnelab’s highest accuracy DC current sensors. Essentially, it is a Hall Effect device with a closed loop that can be fully panel mounted. The primary conductor threads through the center hole. It is rated 200 A at continuous operation and designed and manufactured to offer exceptionally high bandwidth, high accuracy as well as electrical isolation. 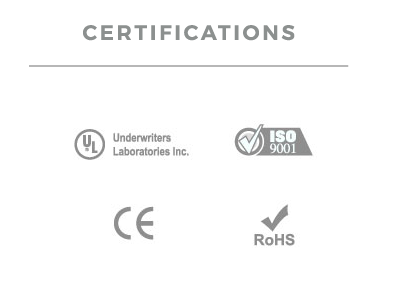 UL recognized under file No. E198118, for safety. 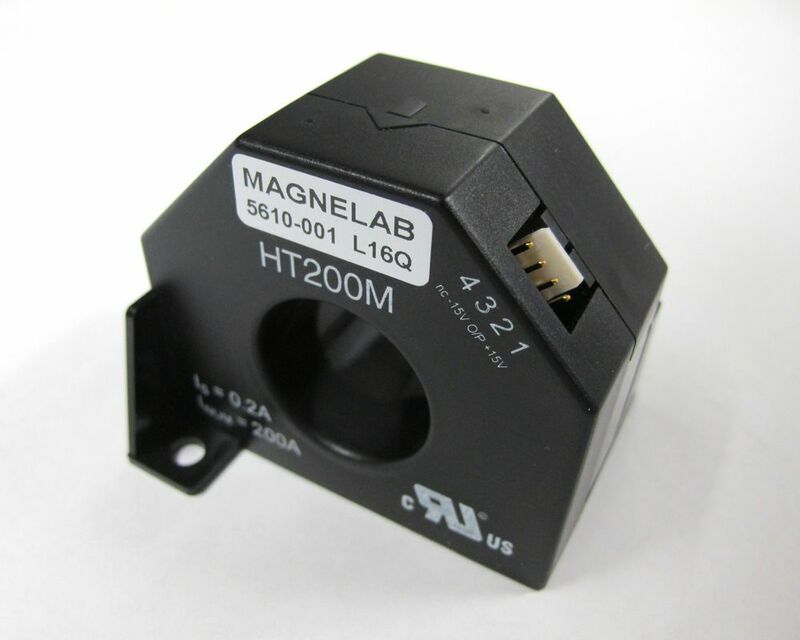 With the HT-200M Hall effect current transducer, the limit of its linearity is around 700 A of peak value. Its linearity accuracy is 0.1% of nominal primary current, which is truly outstanding. Powered by +/- 12 V to +/- 15 V DC. It has a delay time of < 0.5 microseconds. The operating temperature range is between -10 to +85 degrees Celsius. Its zero offset/temperature is less than 3 microamperes per degree Celsius. The proof stress voltage is 7.0 KV AC RMS for one minute, from bore to the output terminals.